Mike Artz photo in Iceland. Ticket to Ride is Warren Miller Entertainment's 64th film with ski/snowboard scenes from around the world. The release date for this year's film was October 11, 2013 in Abravenal Hall in Salt Lake City. Athletes include Jess McMillan, Ted Ligety, Sean Pettit, Julia Mancuso (Reno native), and Seth Westcott. 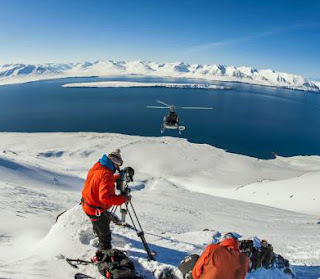 Film locations include Montana, Colorado, Greenland, Switzerland, and Alaska. November 8-9, 7:30pm, Crest Theater in Sacramento. November 15-16, 7:30pm, Harrah's Lake Tahoe, Stateline. November 23, 6:00 & 9:00pm, Pioneer Center, Reno. November 29-30, 7:30pm, Olympic Valley Inn, Olympic Valley. November 30, 7:00pm, Nevada Union H.S., Grass Valley. December 13, 7:00pm, Carson City Community Ctr. Carson City.